Do you suffer from Trypanophobia? Do you know that your fear is irrational, but struggle with the fear nonetheless? Have you tried other techniques to overcome your fear of needles, with little success? Does your fear of needles stop you from being able to undergo travel vaccinations, accept medical attention, or affect other occasions which require the use of needles? Fear of needles or Trypanophobia is one of the most common fears or phobias that people suffer with. Trypanophobia may have nothing to do with the pain associated, and otherwise pain-tolerant people may still suffer with a fear of needles. Did you know that it is quite common for even those with several tattoos to fear needles? Our Fear of Needles Hypnotherapy program is designed to help you overcome your Trypanophobia, and eliminate the hold that it has over your life. 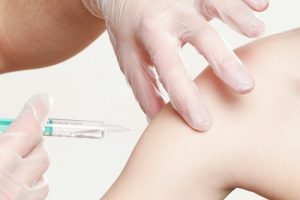 As many as one in four people suffer from a fear of needles, with around half of those being affected by a severe and debilitating fear which makes it almost impossible for them to be given an injection. Needless to say, this can make life difficult when injections are necessary, and can even prevent sufferers from accepting necessary pain medication or other injections. Although the fear is very real, and very difficult to overcome alone, often the phobia has very little to do with pain and more to do with an anxious response to the mere thought of the needle. Like all anxiety disorders and phobias, it can affect the way we live our lives, and can prevent us from doing many things. Fortunately, there is help available. Our Fear of Needles Hypnotherapy program is a proven solution, which can help sufferers to overcome their fear in a safe and supportive environment. Our program is designed by a qualified professional, who understands the psychological reasons behind your fear, and has developed a specialised program to help you overcome it, once and for all. 1. Explore the history and underlying reasons for your fear of needles. CONNECT WITH US TODAY to find out more about our Fear of Needles Hypnotherapy program, and discover how we can help you to overcome your fear, today!